We can be proud of Langkawi women! Two Langkawi women with our company did for one year a very extensive course at the Open University Malaysia to increase their skills in working with fast paced and rapidly changed, highly competitive companies in the market place. Their course included business law, economics, business accounting and entrepreneurship. The day of the convocation at the University Malaysia was an impressive and wonderful positive happening, especially of course for themselves and their families after such a long, committed study while much of it was done after working hours. Jarina Johari and Fatimah Abdullah truly earned their Executive Diploma in Business Management! Congratulations and our huge respect to both these ladies to set an example. We all are very proud of you! 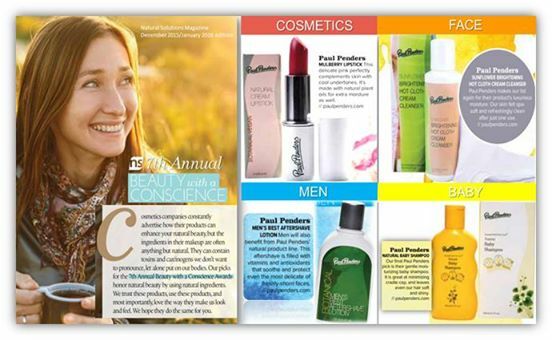 Let us continue where we left yesterday by presenting the last two Paul Penders products which won a “Beauty Awards 2009” in the American health and fitness magazine H2O’s annual contest. This weekend, this special issue of H2O magazine is circulated at the Natural Product Show in Boston, Massachusetts, which is a magnificent American natural health show for retailers and industry leaders alike, gathering from all over the world. Yesterdays blog was about Pegaga Scalp Cleansing Treatment and Natural Moisture Foundation. 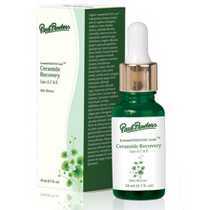 Here is a natural skin rescue treatment delivered via a combination of fine herbs infused in botanical oils. Vitamins A, C and E provide antioxidant support against free radical damage. It helps enhance hydration and re-texture the skin’s surface for a smoother appearance and immediate firming effect. For treatment of scars and stretch marks. Alpha Bisabolol is clinically proven to improve the appearance of scars, stretch marks and uneven skin tone. This unique formulation operates in harmony with the physiology of the skin to prevent or treat stretch marks and scars effectively. Alpha Bisabolol is highly effective in anti stretch mark treatments. It is specifically designed with antioxidants and enzymes which works as collagen and elastin boosters and as “cell communicating” agents. The combined ingredients contribute to orchestrating a balance between degradation of cells that are dying periodically, and cells that have become damaged by overstretching. Enzymes in Alpha Bisabolol Cell Renewal gently remove build-up of scar tissues, alter the skin structure, and allow vitamins and biomarin collagen to penetrate the skin for the reproduction of new cells. As all Paul Penders products, it contains LevensESSENTIE Gold™, a 100% certified organic herbal extract that firmly supports healthy and vibrant looking skin. 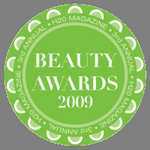 This finalizes the list of the four H2O Beauty Awards 2009 won by Paul Penders. We wish to express our gratitude to the readers of H2O who have tested, appreciated, and voted for our products, as well as we wish to thank H2O Magazine for holding the annual Beauty Award Contest. The readers of the American health and fitness magazine H2O have delivered their verdict in this year’s Beauty Awards Contest. 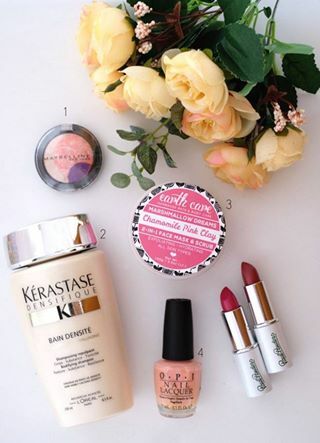 Some months ago, the jury – selected among the readers of H2O – received each their package of beauty products from a variety of cosmetic producers. The testing began, the ballots were cast, and the results were counted. And what an outcome it turned out to be for Paul Penders! Two 1st places, one 2nd place, and one Editor’s Choice Award can now be added to the list of prizes and awards won by Paul Penders products. Today, we will look at two of the winning products – the remaining two products will be saved for tomorrow. Beautiful hair starts with a healthy scalp! Pegaga Scalp Cleansing Treatment naturally treats irritated and flaking scalps. 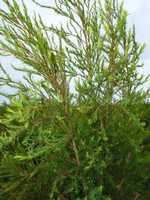 Pegaga (traditionally known as the “Miracle Hero of the Rainforest”) and tea-tree oil both possess remarkable antiseptic and antibacterial qualities to deep-cleanse and revitalize the scalp. Pegaga Scalp Cleansing Treatment helps controlling itching and eliminates flaking. 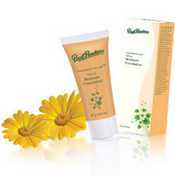 This is a natural, non-oily moisturizing emulsion with 22 certified organic herbs and antioxidant vitamins. It contains mineral pigments that provide sheer, oil-free coverage. 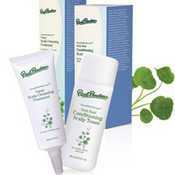 Helps soothe redness and cell damage for flawless-looking skin. It leaves a radiant finish that never looks shiny or heavy. Natural Moisture Foundation is easily applied for an even gentle coverage without the usual “cake” makeup feel and is suitable for all skin colours. Only the highest quality of natural organic materials is used. Only natural organic preservatives are used. Produced using cold-processing which protects the fragile natural ingredients, instead of weakening them through hot-processing. Wrapped in a simple but stylish packaging, without unnecessary environment harming luxury-wrapping used. We are very happy to be able to add Pegaga Scalp Cleansing Treatment and Natural Moisturizer Foundation to the list of Paul Penders award-winning products. See the full list here. Find your local Paul Penders distributor by clicking here.